Amy Schumer has parted ways with Sony’s live-action Barbie over a scheduling conflict, Variety has learned. A Barbie doll living in Barbieland is expelled from the world for not being perfect enough, too eccentric and not fitting the usual mold. 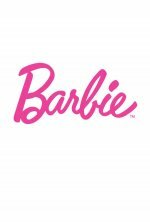 She goes on an adventure in the real world and by the time she returns to Barbieland to save it, she has gained... show all the realization that perfection comes on the inside, not the outside, and that the key to happiness is belief in oneself.